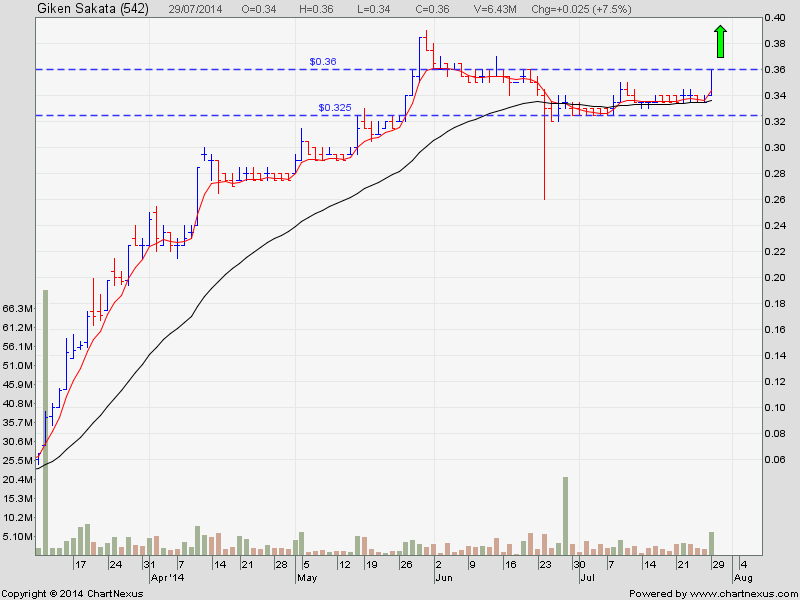 This stock had been resting for almost 2 month and today there is buying activity. A very trendy stock for trading. 1) Silverlake is well supported and may start to run again.